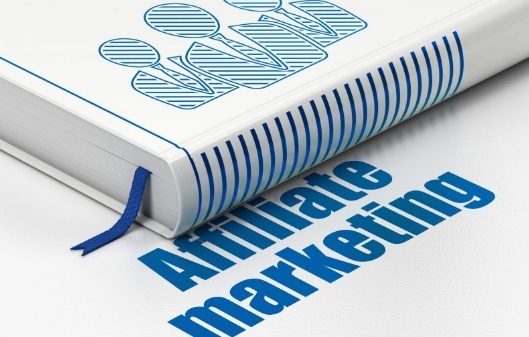 Affiliate marketing is about generating sales for stores, companies and businesses and getting some percentage of the returns. It is a good source of income and you don’t need to sell anything, just tell people about a product you know of or you have used. If anybody purchases a product you advertised with your unique link, you earn some commissions. There are so many products that you can advertise and generate sales for such as e-books, podcasts, videos and other digital products. You can also advertise physical products like devices, clothing, automobiles and even houses. Courses and tutorials can also offer affiliate programs to help them get more customers and get their affiliates more money. There are many platforms that can help you make money from affiliate marketing, and the most popular in Nigeria are Jumia and Konga. NNU is also another platform and you can make money from their affiliate program, they pay you N1000 for referring others. Some others like Valued Voice, Peptribe and Amazon are also very helpful. Where can you get your buyers from? You can generate sales from so many sources. They all depend on your area of interest and the products in demand. 1. You can generate sales from social networking sites like Facebook, Twitter and Instagram. Instagram is the best way to generate sales for fashion products and accessories. You can post the photos of the products and link to it in your bio. Facebook and Twitter are other great sources. You should post interesting photos of the products with brief but catchy descriptions. Use relevant hashtags so that people who don’t follow you but might be interested can see your products too. 2. You can also generate sales from the words of your mouth. Talk to your friends, families and peers about the products and tell them to say you connected them. If it needs links, you can email them the links or send them via social networking sites. 3. Forums like Nairaland can help you generate sales especially when you know the interests of prominent users on the forum. 4. If you own a blog, it is also a good avenue to generate sales. All you do is write a blog post concerning the product, tell people why they should check out the products and don’t forget to shorten the urls. You can also see other amazing ways to make a living blogging. 5. Running of ads can also generate sales for you. In fact, they are the best because you reach targeted people and don’t have to spam threads and forums. Invest in Facebook, Twitter, Google and other ads. You can also advertise on other people’s blogs. Take it like a business and it will be one for you. How can you generate sales? 1. Use catchy titles and descriptions. You might be tempted to tell lies or exaggerate but avoid that as much as possible. Tell people the truth about the products, because they will use them eventually. 2. You use money to chase money. Treat it like a business and advertise to target more people. 3. Social networking sites are also there to help you get more people. Utilize its power as much as possible and you will enjoy it to the fullest. 4. Only advertise products you have used in order to build trust.